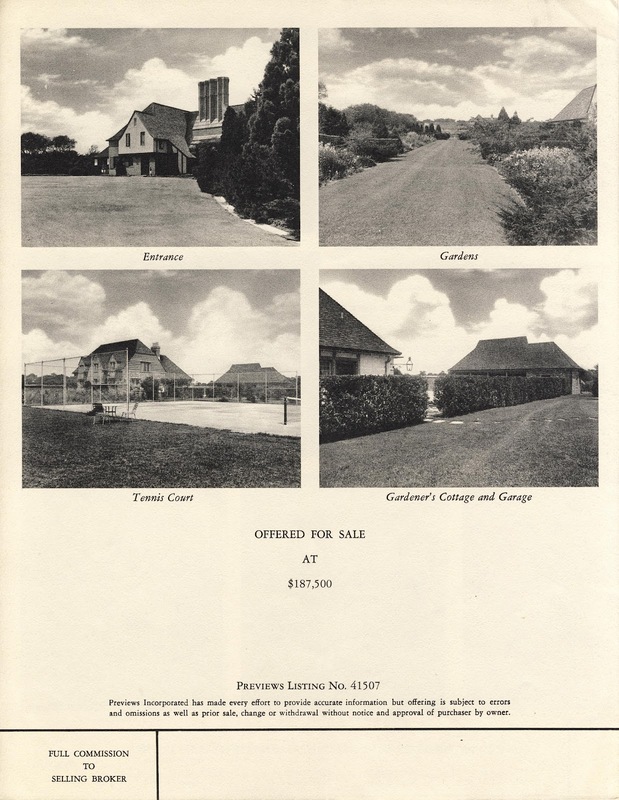 A brochure advertising 'The Playhouse', the Jeremiah DeSmet Maguire estate in Southampton. Maguire was president of the Maguire Rubber Co., president of Machine & Metals Co., president of Federation Bank & Trust Co. and Continental Bank & Trust Co., and president of the Railroad Utilities Co., among many others. Ruth Swift Maguire, J.D. 's second wife, came away with 'The Playhouse' after their divorce in 1935. Ruth was the daughter of Gustavus F. Swift, president of Swift & Co., meat-packers. 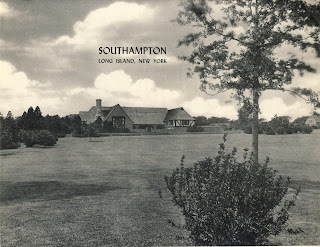 She passed away in 1945 which is likely when this brochure was produced. Click HERE to see 'The Playhouse' on google earth and HERE on bing. The architect? I'll take a guess at Roger H. Bullard with the chimney design.